If you're unfamiliar with the different Imperial Assault playmats, each is designed for the game's skirmish mode and offers up a new battlefield. If you've not given Imperial Assault a try, I suggest that you find a friend who owns it and give it a shot. Imperial Assault is an evolution of the Doom and Descent games (both of which were first designed by Munchkin CCG co-designer Kevin Wilson), and can best be described as a Star Wars dungeon-crawl game. And yeah, the game includes campaign play and there are a lot of miniatures and missions available for it. If you've never used playmats in your games, you've been missing out! 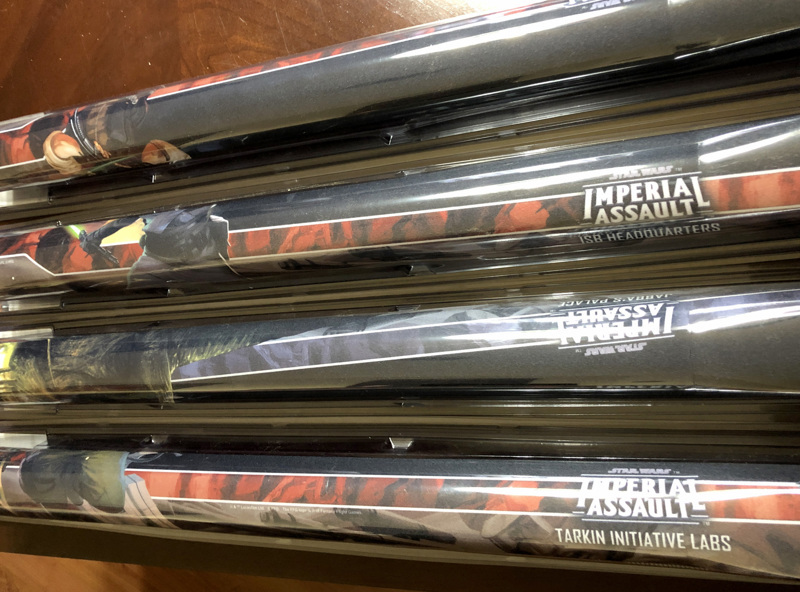 Cloth mats, with rubber backing, provide a smooth surface and – in the case of these Imperial Assault mats (as well as the Ogre playmats) – serve as the gameboard. Playmats only work if you have a large enough table, but if you do, they make game setup a little quicker . . . and they look fabulous!